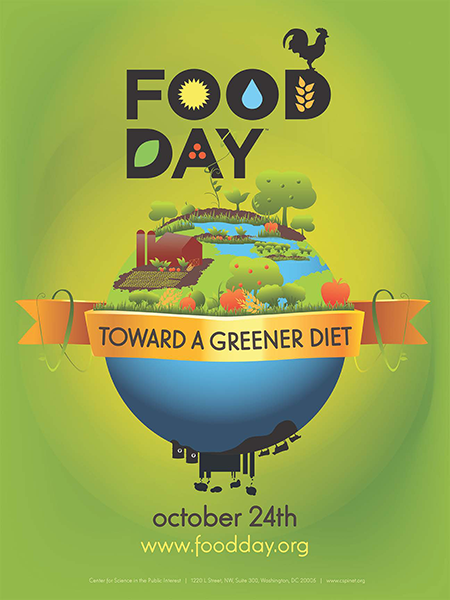 Food Day falls on October 24th each year, and while we’ll definitely be taking advantage of the opportunity to celebrate real food, we also want families to be able to celebrate real food every day. Just because you’re extra thankful on Thanksgiving doesn’t mean that you get to be ungrateful for the rest of the year. One of the ways we celebrate real food in our free community cooking class series from SFC’s The Happy Kitchen/La Cocina Alegre® is by using a peer-facilitated class model. Our facilitators are not professional chefs. They don’t have several hours each day dedicated to cooking and meal prep. They know what it means to want to sleep in and skip breakfast, or to have 20 minutes for dinner between the end of soccer practice and the beginning of a PTA meeting. They use the recipes from our cookbook, Fresh, Seasonal Recipes, that emphasize healthy, seasonal eating on a budget, and they talk about how they make the recipes work for them on a day to day basis. But because every day looks different for every family, the participants are just as important as the facilitators when it comes to sharing tips, tricks, and knowledge. "I think I loved seeing how everyone varied the recipes and the information to fit their needs. People would make the recipe at home but in their own way, and even in the class we made a kale and carrots recipe but we substituted the kale. It’s great to hear people figuring out what’s right for them." "Not to take things so seriously :) I like having the class be more of an open dialogue, so I encourage everyone to ask a ton of questions. This stressed me out the first class I taught because of all of the material I wanted to cover, but I quickly learned to adapt my class plan to allow everyone to be involved in the conversation." "One of our participants shared a trick with us to preserve fresh herbs. She chops them up, then packs them into an ice cube tray. She fills the tray with water and freezes it. Once frozen, she removes the "herb ice cubes", stores them in a freezer bag, and pulls one out whenever she needs it!" When you combine the many ways that facilitators and participants make real food work for them, there’s a lot to recognize. It’s Food Day when you make fried rice to use up the vegetable scraps in your fridge instead of throwing them out. It’s Food Day when you take fresh fruit or vegetables to the potluck so you know there will be an option besides cupcakes and soda. It’s Food Day when you read the labels in the grocery store and make a healthier choice. And it’s all worth celebrating.